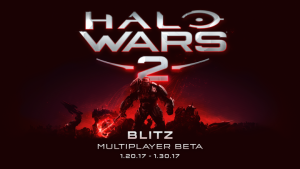 Microsoft has announced that the “Halo Wars 2 Blitz Multiplayer beta” will start on January 20 for both PC and Xbox One. Rather than building bases and then units, as is in a typical RTS, in Blitz mode armies, are made by using decks of cards, which are then deployed in real time during the battle. In this mode, there is no tech trees, resource collection, or economic management, and matches are supposedly fast, clocking out at around 10 to 12 minutes. 343 Industries first revealed the new mode in a multiplayer video released last October. The Halo Wars 2: Blitz beta will run until January 30. The new mode will also be playable at the PC Gamer Weekend, running February 18-19 at the Olympia in London, just ahead of its release on February 21.